Update: On October 1, the Pennsylvania House of Representatives passed HB 913 with 195 yes votes and 7 absent! Please check the vote and thank your representative for voting yes! Onto the senate! The Pennsylvania Office of Dog Law Enforcement (Dog Law) is the agency tasked with inspecting commercial breeding kennels, investigating dog bite incidents and picking up stray dogs. Funding Dog Law’s efforts is critical to ensuring the safety of Pennsylvania’s dogs and people. Unfortunately, for 25 years, most fine and penalty monies received by the state for violations of the Pennsylvania Dog Law has been spent on maintaining a state computer system. 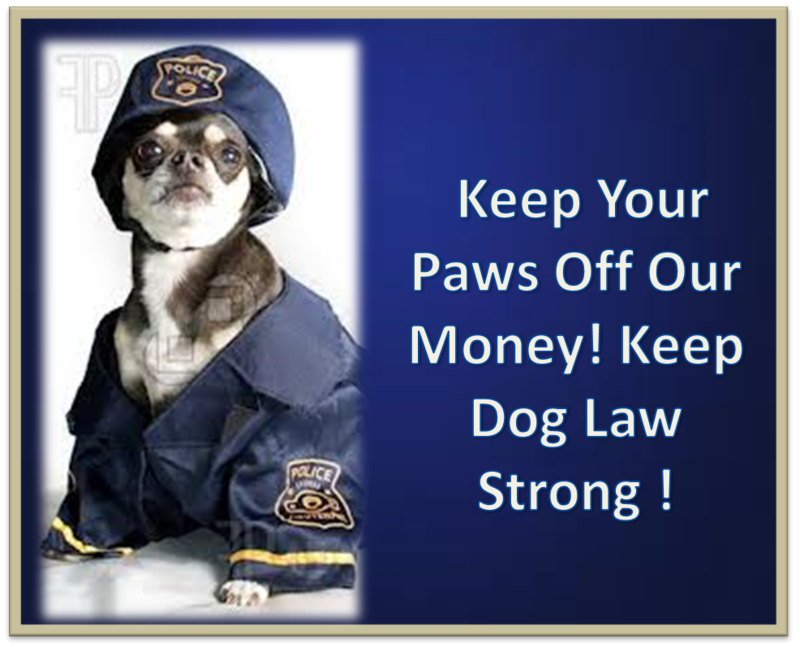 The loss of funding to the Office of Dog Law Enforcement is to the tune of $226,000 a year, for a total of $3 million that should have been used to keep our dogs safe. That amount of money is substantial and needs to stay where it belongs in order to provide for its sole purpose–protecting Pennsylvania’s dogs. To address this, HB 913 was introduced by Representative Kathy Watson and Representative Joseph Petrarca with 38 co-sponsors. It adds an exemption to existing law (Title 42) to allow all the Dog Law fines and penalties collected to remain in the Dog Law Restricted Account to help toward sustaining the operations of the Office of Dog Law Enforcement in conducting kennel inspections, investigating dog bite incidents, and apprehending dogs running at large, etc. Please contact your state representative to ask them to support this important bill.